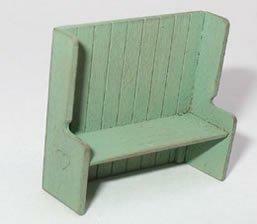 1/24th scale quality miniature settle with opening storage seat. 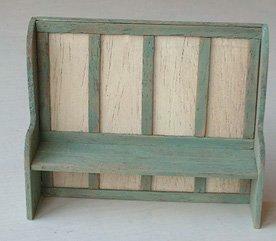 Could be used in a cottage, or tudor dolls house or in a large hallway. Handmade from Mahogany . Measures approx. 45mm tall x 49mm wide x 26mm deep (1.8" x 1/9" x 1").